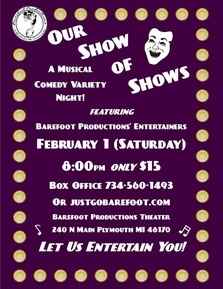 For one night only, we present an original night of exciting talent, Our Show of Shows: A Musical Comedy Variety Night!. 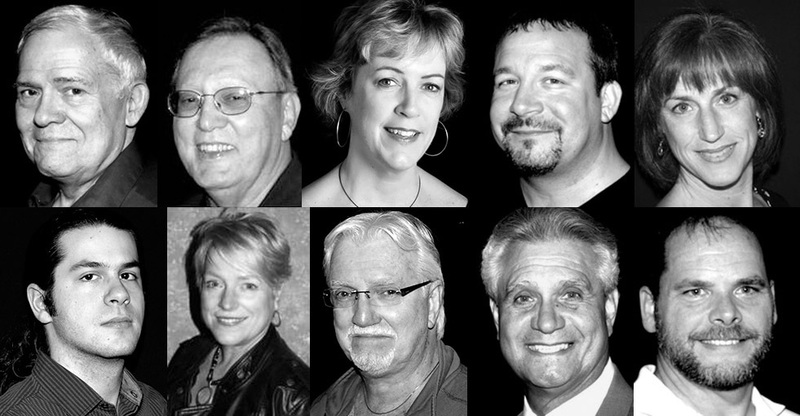 You will see some of your favorite Barefoot Productions actors, as you may have never seen them before. You have seen them all, either acting on our stage or helping backstage, but did you know of the exciting talents they all have beyond their acting and technical work? Well, on this night we will showcase the extraordinary talents of Sean naeS, Jonathon Wennstrom, Joe Arcel, Maureen and Tina Paraventi, David Alexander, Adam Dib, Anne Morgan, Rich Pientak and Terry Viviani, Marissa Winn, Chris Steves and Linda Stanko, as they deliver their Musical, Magical, Singing, Dancing and Comedy talents. If you thought their acting was great, just wait till you see what else they all can do!